Here are the ratings for ABC’s Rookie Blue, the TV series that follows a group of ambitious young cops (Missy Peregrym, Travis Milne, Gregory Smith, Charlotte Sullivan, and Enuka Okuma) as they learn the ropes. 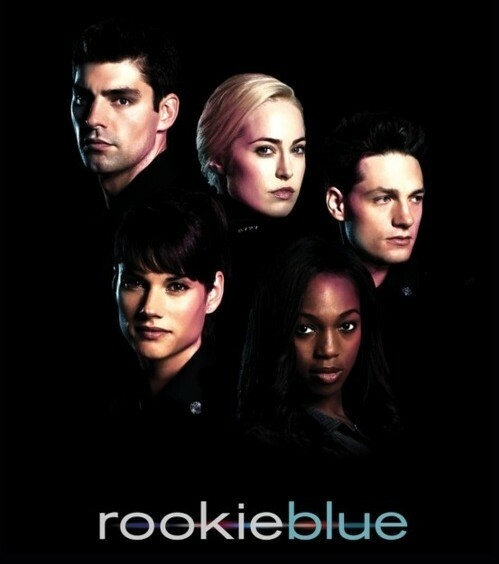 The third season of Rookie Blue typically airs Thursday nights on the ABC network. There are 13 episodes. These are the TV show’s ratings for the 2011-12 season, the best way to tell if Rookie Blue is going to be cancelled or renewed for season four. Check out our ABC summer ratings report card to see how this show’s numbers compare with the others on the network. Final season averages: 1.2 rating in the 18-49 demographic with 4.94 million total viewers. 1.2 in the demo (+33% episode-to-episode change) with 5.08 million. Season averages: 1.22 in the demo with 4.94 million. 0.9 in the demo (-10% episode-to-episode change) with 3.80 million. Season averages: 1.23 in the demo with 4.93 million. 1.0 in the demo (-9% episode-to-episode change) with 4.23 million. Season averages: 1.25 in the demo with 5.03 million. 1.1 in the demo (+18% episode-to-episode change) with 4.79 million. Season averages: 1.28 in the demo with 5.11 million. 1.1 in the demo (-27% episode-to-episode change) with 3.80 million. Season averages: 1.30 in the demo with 5.14 million. 1.5 in the demo (+7% episode-to-episode change) with 5.66 million. Season averages: 1.33 in the demo with 5.31 million. 1.4 in the demo (+17% episode-to-episode change) with 5.02 million. Season averages: 1.30 in the demo with 5.26 million. 1.2 in the demo (-8% episode-to-episode change) with 4.73 million. Season averages: 1.28 in the demo with 5.30 million. 1.3 demo rating (+18% episode-to-episode change) with 5.13 million. Season averages: 1.30 in the demo with 5.42 million. 1.1 in the demo (-15% episode-to-episode change) with 4.71 million. Season averages: 1.30 in the demo with 5.49 million. Update: Rookie Blue has been renewed for a fourth season by ABC. 1.3 in the demo (-7% episode-to-episode change) with 5.51 million; second in the timeslot. Season average: 1.37 in the demo with 5.75 million. 1.4 in the demo (0% episode-to-episode change) with 5.65 million. Season average: 1.40 in the demo with 5.87 million. 1.4 rating in the 18-49 demographic with 6.09 million total viewers. Season average: 1.40 in the demo with 6.09 million. It was a moderate return for the Canadian series. It was in a close second place in its timeslot (behind a repeat of The Mentalist on CBS). Compared to the second season debut (which aired in late June), ABC was down by 13% in the demo (vs a 1.6 rating) and down by 4% in overall viewership (vs 5.83 million). 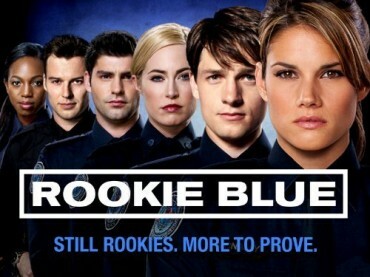 Reference point: The second season of Rookie Blue averaged a 1.3 rating in the 18-49 demo with 4.99 million viewers. Thursday TV Show Ratings: Rookie Blue, Save Me, Motive, Does Someone Have to Go? Great TV Sesseon. This can’t stop!! Love it. Also in the Netherlands we all love it. This is one of the only thats like the real police work. I’m doing also this job. This is great. Keep on going with this TV sesseon. Can’t wait for sesseon 4. Rookie Blue is the best summer show hands down.This show has to be renewed.I so love all the actors and very sad to have to see one of them go so soon. Sooooo has to be renewed for another season!!! I love Rookie Blue! It should definitely be renewed. Any haters out there, don’t watch. Stupid show and missy is a ****! Missy or her character Andy? PLEASE will someone PLEASE get rid of all of these stupid “reality” shows – get a life people! TV watching is to be “entertaining” or “educational” – not this “reality” drivell! Rookie Blue was a cool show,I hope it lasts because it was real good.